(Text automatically translated) In the heart of the Regional Natural Park of Luberon. You will dominate the valley of the Apt. 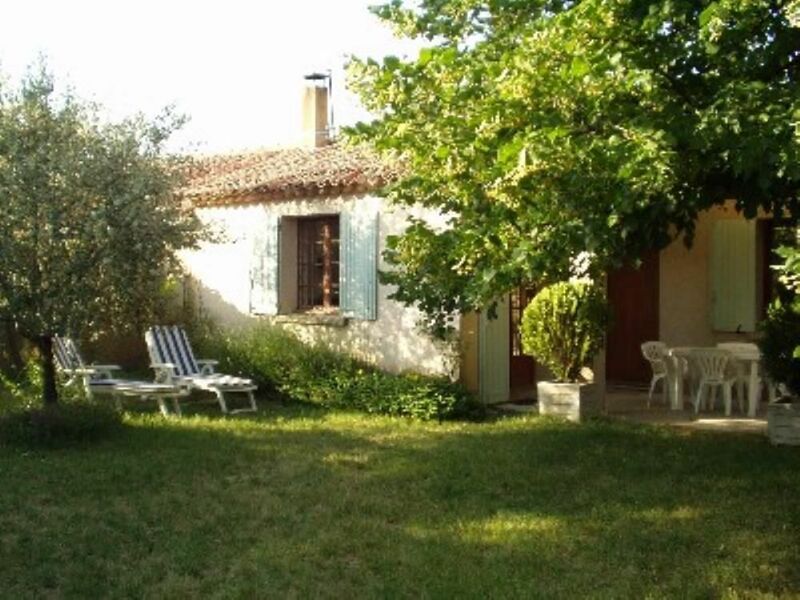 Near the village of Saignon this charming cottage has a garden clos.Calme assured. "The little house was just perfect! We were traveling with our 2 little boys (ages 7 and 4) and we found the village of Saignon to be a PERFECT bouncing off point for all of our day trips to the markets at Isle Sur la Sorgue, the beautiful ruins of Les Baux, the bridge of Avignon and even a trip to the city of Marseilles on the Mediterranean. It was clean, simple and the kitchen was well equipt. The village of Saignon was stunning and had several wonderful restaurants perched on the rocky hills above Apt. A glorious vacation we won't soon forget." "Great place for holidays: quite, pleasant and near main points of interest in the region (including boulangerie you can go every morning for fresh baguette :)). The house is fully equipped, clean and sunny. It's a pity there is no view on the wonderful surroundings from the house but there is full privacy instead. The propietors are super nice and helpful!" "Saignon revisited (may 29 - june 12, 2010)and again we had a most wonderful stay. We also enjoyed the warm welcome and the hospitality very much. A 100 % recommendation from us and we will certainly return! Johnnemay van Ams"
"Madam is very charming. The gite is self-contained, with its own private garden and porch. The kitchen is large and works well for cooking at home. Saignon is about five minutes away on foot, and Apt is about five minutes away by car. Overall, a comfortable stay at a reasonable price." highly recommmend every aspect of this property." "The house is very well equipped and there is everything what you could need during a holiday, it was very clean and homely. We think that its location in Saignon is excellent, among the nicest and most historical towns in Vacluse but fortunately not overcrowded by tourists. In summary we can recommend it and plan to go back again!" (Text automatically translated) A 55 kms from Avignon TGV station, take the National 100 towards Apt (train and bus stations, supermarkets) and road Saignon. At the entrance of the village call. Of course we will send you an access plan.